Show your guests how welcome they are by adding these five beautiful varieties in shades of red to a walkway, around a porch or in containers surrounding an entranceway. Roll out the red carpet for your guests with the Red Welcome Garden. It has a very special way of brightening up the landscape, as well as adding an inviting touch to your home. The delightful varieties in this garden are of varying heights and blooming periods for season-long color. A total of 13 stunning plants will fill a 68 sq. 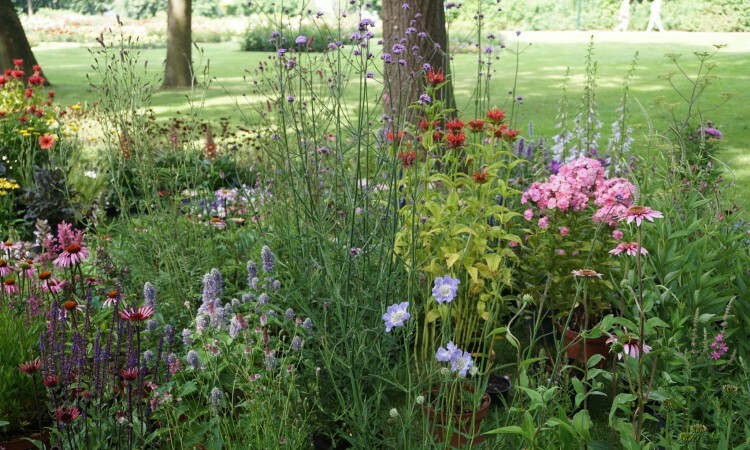 ft. garden area, and is also versatile enough for container planting–or try a combination of both for the perfect look. A Carnaval Weigela (1), Developed in France, this larger-blooming hybrid bears a festival of 1 1/2″ azalea-like blossoms in red, white and pink..
B Red Rocket Hardy Carnation (scarlet) (3), Cheerful scarlet red carnations spice up borders, beds and rock gardens..
C Monarda, Jacob Cline (3), Mint-scented foliage and extra-large deep red flowers make this variety a bold accent for a border – or butterfly or herb garden . D Crimson Scabiosa (3), Free-flowering perennial bears blooms of a color rarely seen in the plant kingdom – intense wine red..
E Nora Barlow Columbine — One Cent Sale (3), Double blooms have a fuchsia lining and white highlights atop 24-28″ stems..